The “Green New Deal” isn’t so much about fighting global warming as it is about “social justice,” according to the plan’s main champion New York Rep. Alexandria Ocasio-Cortez. 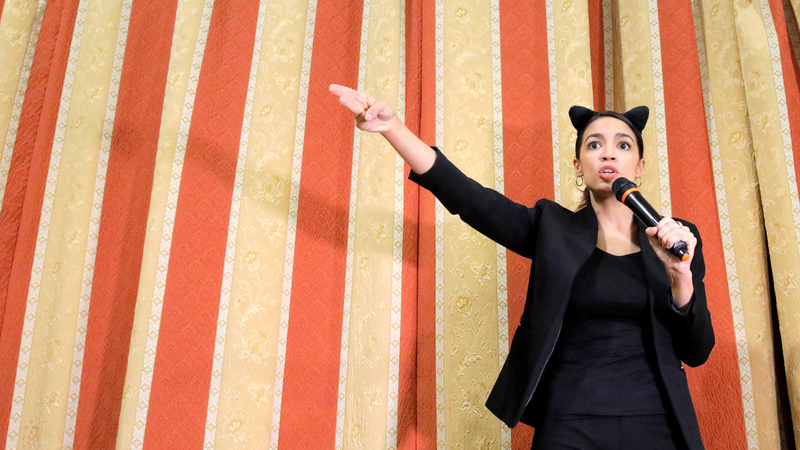 “So really the heart of the Green New Deal is about social justice and it’s about allowing and fighting for things like fully funded pensions for coal miners in West Virginia, fighting for clean water in Flint, and fighting for the ability of indigenous peoples to take a leadership role in, in where we’re moving as a country,” she added. The freshman Democratic lawmaker introduced her “Green New Deal” resolution Thursday, which calls for the U.S. to transition to 100 percent renewable energy within 10 years or as soon as possible. The “Green New Deal” also puts a heavy emphasis on policies to address what Ocasio-Cortez and other progressives see as racial and economic injustices while transforming the U.S. economy. The non-binding resolution explicitly calls for “repairing historic oppression” among certain groups, including minorities, immigrants, women, low-income workers, indigenous people and youth collectively called “frontline and vulnerable communities,” according to a draft obtained by NPR. Ocasio-Cortez’s comments to NPR echo remarks she made in 2018 during a panel with Vermont Independent Sen. Bernie Sanders, who supports her “Green New Deal” resolution. “[W]e can use the transition to 100 percent renewable energy as the vehicle to truly deliver and establish economic, social and racial justice in the United States of America,” Ocasio-Cortez said during the December panel. She called the “Green New Deal” the “Great Society, the moonshot, the civil rights movement of our generation.” Those sentiments are reflected in her new resolution, which calls for World War II-style mobilization against global warming. “A family-sustaining wage, adequate family and medical leave, paid vacations and retirement security” and “high-quality health care” benefits for Americans are also listed in the House resolution. Democratic Massachusetts Sen. Ed Markey will release companion legislation in the Senate. Markey’s bill is co-sponsored by Democratic 2020 hopefuls, including Sens. Cory Booker of New Jersey and Kirsten Gillibrand of New York.